Ten years ago I wrote my first Holiday Tech Toys article. Looking back, it is fun to look at the evolution of technology during those 10 years. This year, I decided to focus my tech toys on the rapidly emerging field of home automation. I predict that home automation technology will be one of the hottest tech markets in the coming years and it is poised to make a splash this holiday season. So to help you all out, here are some great home automation products. I’m sure you’ve seen the ever increasing number of commercials on TV showcasing the Amazon Alexa and Google Assistant services. You just ask your voice assistant device a question and it gives you the answer! Or you tell it to turn on some lights and it magically obeys your command! Yes, when properly set up a voice assistant can seem like magic. The great news is that Amazon and Google have created small versions of their voice assistants with similarly small prices (especially now during the holiday shopping season). 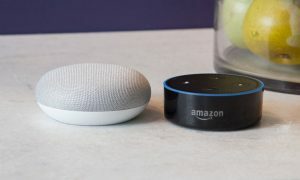 The Amazon Echo Dot and the Google Home Mini each tie into their respective services and with holiday sale pricing both cost just under $30. Apple was set to join the game with their HomePod speaker/voice assistant device but the ship date for that product has slipped to early 2018 and it was also set to cost $399. However, if you have an iPhone, you can use Siri to control your home automation devices just the same. More on that later. One of the more practical “smart” product lines getting some attention recently has been the video doorbell. It is basically a doorbell with a video camera that can be accessed remotely through your smartphone, whether you are at home or away. 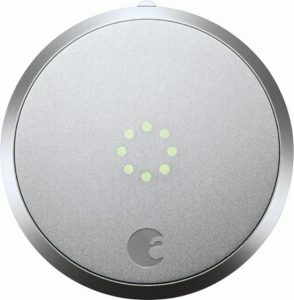 It is basically a high-tech peephole that lets you see who is at your door or who may be hanging around your porch area. But you can also communicate with them, which can be very useful if you are not at home and are waiting for a package or if you want to talk to whomever is at your door. You may have heard stories, especially around the holiday season, of people scaring off potential package thieves by interacting with them through their video doorbell systems. The Ring is one of the more popular models and it is currently on sale from most vendors. Smart thermostats were one of the earliest examples of the new generation of home automation devices that included Wi-Fi connectivity and smartphone integration. The Nest was the device that kicked it off and is probably the most well-known example of the smart thermostat, but there are others that are worth strong consideration, especially if you are an Apple device owner. I like the ecobee4 because it integrates with Apple’s HomeKit platform (along with Alexa and Google Assistant) unlike the Nest which currently excludes HomeKit integration. 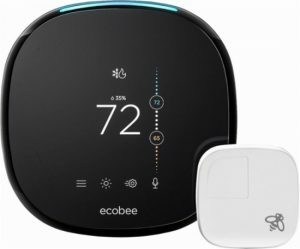 But also the ecobee4 also has built-in functionality to set up room sensors around the house which help the main thermostat more accurately control temperatures, saving money in theory as compared to a device that can only measure temperatures in one location. One of the simplest ways to begin automating a home is through the use of smart outlets, such as the iHome iSP6. These devices simply plug into the wall and then any supported device can be automated. Common types of devices include lamps or fans. The iSP6 can control small home appliances up to 1800 watts. I like the iHome iSP6 SmartPlug because it is relatively inexpensive (under $30 per unit, especially with holiday sales), yet it supports the three major home automation platforms (Apple HomeKit, Amazon Alexa, Google Assistant). Other companies are deploying smart outlets are coming into the market that offer similar functionality at similar price points. As I just mentioned, more companies are starting to jump into the home automation market with low cost yet full functioning modules. Best Buy with their Insignia brand are one of those companies. 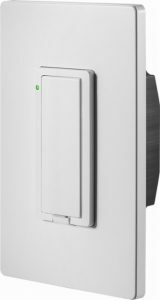 As an example, their Wi-Fi Smart In-Wall Light Switch allows one to replace a regular switch with a smart switch that can be controlled by the three major home automation platforms at a price point under 30 dollars (with holiday sales currently). Smart switches like these can be a great way to automate things like lights without needing to replace every light bulb in fixture, saving money in the long run. Garage door openers are a very convenient and safety oriented device to have automated. I can tell you from personal experience that it is nice to be able to open or close my garage door from anywhere in the world and also receive alerts if it is left open for a certain amount of time. 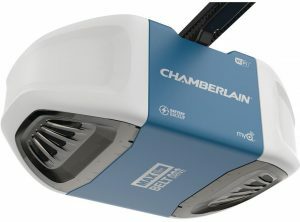 The Chamberlain Model #B970 is a great example of a fairly low cost garage door opener that has built-in home automation features including Wi-Fi connectivity out of the box. There are also adapters available for existing garage door openers such as the Chamberlain MyQ Smart Garage Hub that offer very similar functionality. As homes become filled with more and more wireless devices, including home automation devices like the ones I feature in this article, the need for a robust and reliable wireless network becomes even more critical. In the past, some larger or older homes were very difficult to adequately cover with a strong wireless signal. Luckily in the last year, a number of newer generation wireless devices that use a technology called “mesh networking” have been introduced in to the market. Basically, mesh devices create a wireless network that uses multiple wireless access points instead of just one as most wireless routers do. Unlike the “boosters” many people have tried to deploy that generally don’t work very well, mesh devices are designed to create a unified wireless network that covers an entire building seamlessly. In my experience so far, mesh networks work far better than traditional wireless devices at covering larger areas. 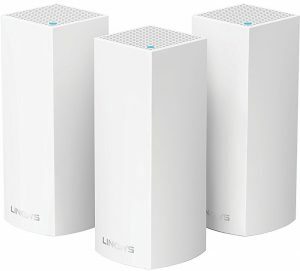 The Linksys Velop units have gotten very good reviews and I’ve had good luck with them on a handful of deployments recently. For many people, their smartphone is the virtual hub of their home automation system, so including the iPhone X on this list made sense to me. Of course, any iPhone will serve well as a home automation control device, but the iPhone X is Apple’s top tier phone at this time. One thing to note is that while Apple’s entry into the voice assistant device category is delayed, Siri voice control built in to every iPhone continues to work well as a mobile voice assistant. In fact, by using the “hey Siri” functionality, one may not even need a standalone voice assistant if they keep their iPhone near them most of the time. Apple Watch users will also generally have access to Siri on their wrist at all times too. To wrap up my home automation Holiday Tech Toys list, I feature a smart door lock that can be retrofitted onto existing deadbolts. The August HomeKit Bluetooth Deadbolt Retrofit Smart Lock works with the 3 major home automation platforms and can be used to automatically lock and unlock your door. It can automatically unlock as you approach with your smartphone, or your can remotely unlock it using an app or with voice command. You can also assign virtual keys to other people such as cleaning people or pet sitters. Note that you may need an August Connect Wi-Fi Bridge in order to use the remote control features, unless you have an Apple TV 4th Generation device within Bluetooth range of the door lock. My general advice for holiday shopping is to purchase from a place that has a good return policy, since it can be difficult to purchase the right technology as a gift. However, also make sure to NOT open the original packaging of a technology gift if there is any chance of it being returned. 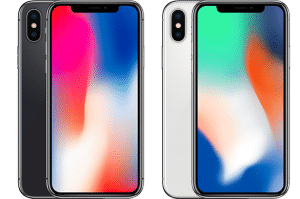 Once the original packaging is opened, unless there is a problem with the device, returning it simply because the recipient didn’t like it will usually incur a re-stocking fee. Marcel Brown is the most trusted name in technology. If you need help or have questions about these or any other technologies, please feel free to contact him or post your question in the Q&A section of his website. You may also follow him on Facebook or Twitter. Make a Payment to MB Tech, Inc.